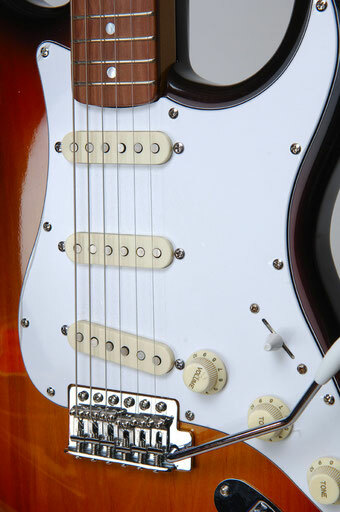 This was the year that Leo Fender and Freddie Tavares's iconic design would shape generations of musicians to come. Now you can play that vintage tone from 1954. Comes with vintage '54 style staggered polepieces. 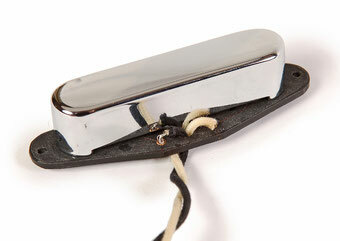 This kit is modeled after the 57/62 Fullerton red bobbin style Strat® pickup bobbin. Surfs Up! This pickup comes with vintage correct post CBS grey bottom flatwork. Wound with a plain enamel-coated magnet wire (as opposed to the heavy formvar wire used in the 1950's), creating the surf tones that were so popular in 1960's. Comes with vintage style staggered polepieces. 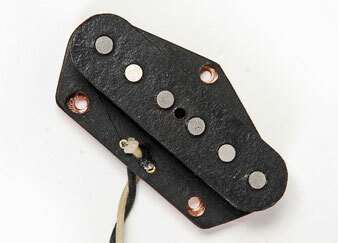 Vintage specifications for this nice sweety Telecaster bridge pickup. Full of mids and presence, this pickup is lively. Slightly potted. Comes with screw, tubing and baseplate. Le son Telecaster vintage! Puissant, doux et brillant. 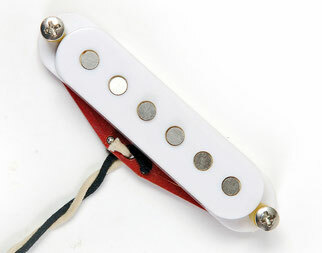 Full telecaster bridge pickup, harsh and powerfull, cutting and strong, this pickup gives exactly what you expect: gnarl and strength. Le son Telecaster classique, puissant, hargneux et brillant. 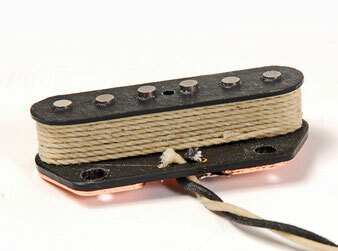 The Telecaster® Neck pickup allmost never changed during decades. Mayby Leo Fender was satisfied by it. 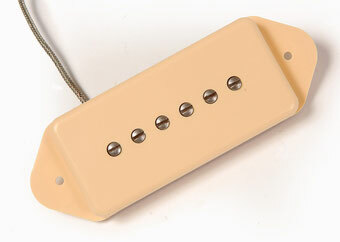 This pickup has the good specifications: Alnico V magnets, 43 awg plain enamel wire, and thin Nickel-silver cover to give more highs and presence. Ear it and you will be conquered. La brillance et le moelleux sont les deux adjectifs qui le caractérisent le mieux, c'est un super micro, chaleureux et flûté qui laisse libre court à votre inspiration. Vintage specifications for this Classic P90 Dogear. Full of mids and presence, this pickup is lively. Comes with screw, tubing or springs. 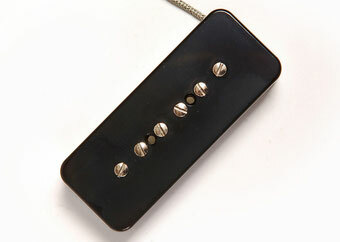 Allmost the same specifications than for the dogear Classic P90, just a little more heavy for bridge pickup. Strong and singing, full of mids and presence. Unpotted. Comes with screw, tubing or spings. Specialy designed for the "Rockmaster" this pickup is a pure P90, vintage specs for rock music, but with a split-coil at 7,2 kohms. It adds a bright position, something like "fenderish" sound. Very usefull on stage, you have the same sound with two different powers, bright for chords or arpeggios and heavy for soloing. Sharpen or strong! Lofiguitars has developed the way of making the sound of its guitars. 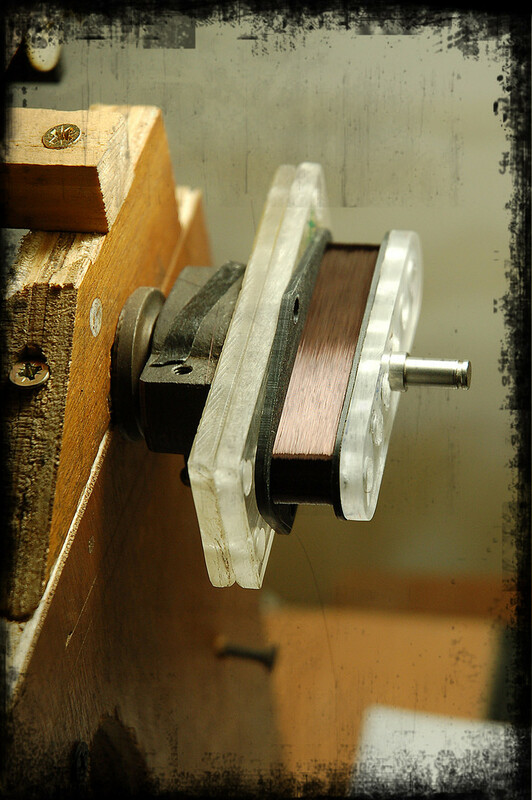 A special tool has been invented to wind the pickups, a process to charge or discharge magnets, keeping in mind the idea that a strong character must be unique. 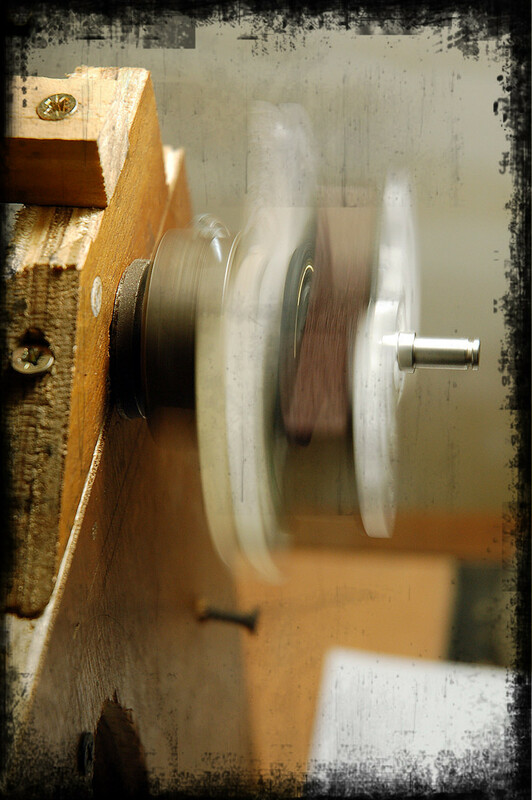 For each guitar, the pickups are thought of, number of turns, shape of layers, tension of wire, etc... 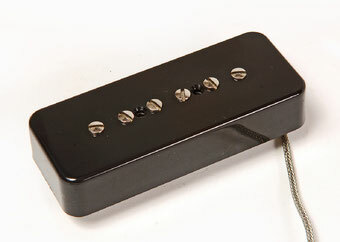 The result is a real range of high quality pickups, made by hand like in the sixties, rich of presence and full of mids, everything you need to enhance your sound. Great with old amps.